This headline is not a rhetorical question; nor is it a variant of Betteridge’s Law, where you’re supposed to infer the opposite. I know there must be humorous mountaineering books out there, and I want to know where they are because I’d like to read them. I was prompted to ask this question when Vertebrate Publishing started a poll on Twitter to compile a list of the 100 most recommended mountaineering books. I quickly responded with a few of my favourites, which unsurprisingly include a fair number of books that have made me laugh. One of the funniest books ever written was a book about mountaineering – the comic novel The Ascent of Rum Doodle by W.E. Bowman about the first ascent of the fictional world’s highest mountain Rum Doodle. It’s a book that, had he still been alive, would may well have caused P.G. Wodehouse to die laughing. One of the greatest of all comic travel writers, Eric Newby, wrote a book about mountaineering, A Short Walk in the Hindu Kush, about an attempt to make the first ascent of a remote peak in Afghanistan by a pair of bumbling novices. By far the most entertaining and readable first-hand account of the first ascent of Everest in 1953 is Jan Morris’s Coronation Everest by the Times journalist who accompanied the expedition. Not only is it a great story about the media quest to hide the news from rivals and break it in time for the queen’s coronation, but it’s also hilarious. And then I suggested a couple of books that were lower on the joke ratio, but full of humour nonetheless. You can tell that No Picnic on Mount Kenya by Felice Benuzzi is going to be a fun book just from the title and author’s name (felice means ‘happy’ in Italian). The whole premise of the book is comical. It follows the adventures of a group of Italian climbers incarcerated in a British prisoner-of-war camp on the slopes of Mount Kenya during the Second World War. The prisoners knew there was no point in making a break for freedom, because even if they escaped they would be certain to be caught before reaching safety. So instead they decided to have a holiday by breaking out of the camp, climbing Mount Kenya, then breaking back in again. Then there’s Fallen Giants by Maurice Isserman and Stewart Weaver, which IMO is by some distance the best general mountain history book ever written. The reason for this is because the authors – a pair of American academics – never lose sight of the fact that mountaineering is essentially a frivolous activity that people do for enjoyment. The book is erudite in the sense that it quotes hundreds of sources and is peppered with citations on every page, but it’s also extremely readable. Unlike some mountain history books, your eyes are never in danger of glazing over. It’s a compendium of great stories with many humorous anecdotes. So these were my recommendations, and I enjoyed following the conversation that Vertebrate Publishing had started. 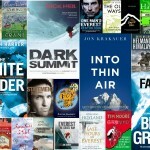 Vertebrate is the UK’s top publisher of books in the mountaineering genre. 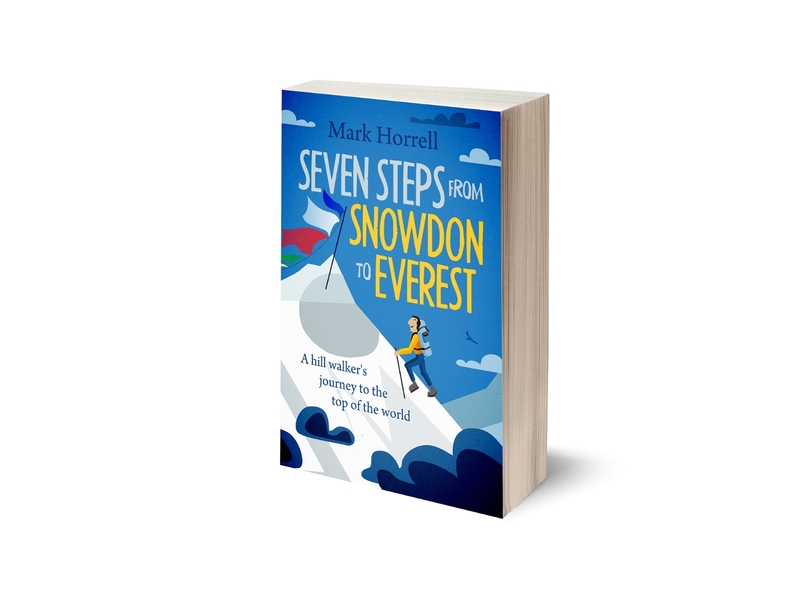 In the last few years they have supported some of Britain’s top mountaineers by getting their stories into print, and their titles always have an impressive showing on the shortlist for the Boardman Tasker Prize. 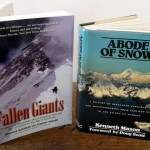 Their practice of reissuing old mountaineering classics has helped to revive the popularity of books and writers who may otherwise have become forgotten. The best example of this are their reissues of the books of Eric Shipton and Bill Tilman, many of which are now climbing high on Amazon’s bestseller charts. In the course of this work, Vertebrate has built up a network of readers interested in mountaineering books. If anyone could uncover some gems of mountaineering humour, they were the people. But looking at the recommendations they received and the initial top 20, I was slightly disappointed. It wasn’t that the books weren’t good – on the contrary, there were some great books on there – but they were perhaps a little predictable. I was happy to see Newby, Benucci and Rum Doodle all listed. Other perennially popular books such as Joe Simpson’s Touching the Void, Jon Krakauer’s Into Thin Air and Maurice Herzog’s Annapurna deserve to appear on such a list because they are great stories that are well crafted. 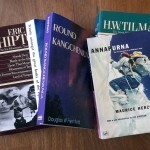 But the list was otherwise dominated by books written by people who are chiefly renowned as climbers rather than writers. This may not be surprising, but it’s not necessarily a good thing for mountain writing. After all, the best crime stories weren’t all written by murderers. It certainly wasn’t going to help me uncover great comedy writing. Vertebrate made a point of asking readers to recommend books that were written more recently (which is a good thing, as we are currently going through an independent publishing revolution that is helping new voices to get heard), but they also made a point of asking world-class mountaineers for their own recommendations (which is a bit like asking Ronald McDonald for a list of his favourite food, and likely to skew the results even more). 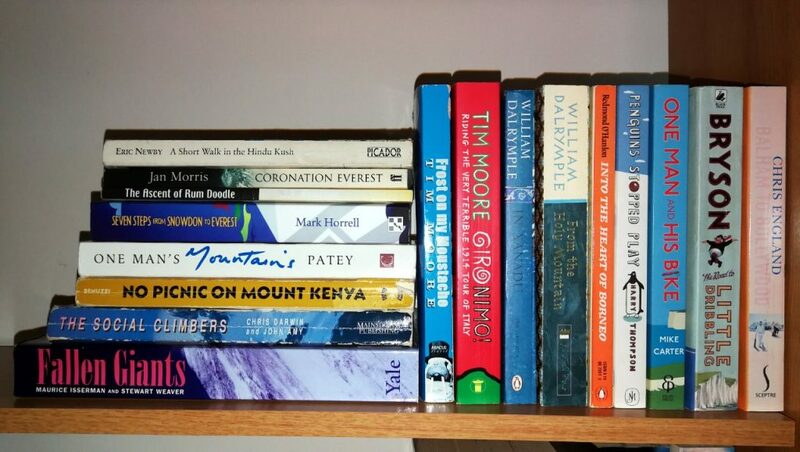 I believe Vertebrate are still working on the list, so if you (like most readers) are not a world-class mountaineer but just enjoy reading books about mountains, then give them your recommendations by adding a list of your favourite books to the Twitter thread. 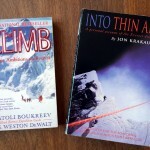 How do funny mountaineering books stack up against their counterparts in the general travel writing genre? Contrast this bias with cycling literature, another sport that is popular with amateurs. I’ve mentioned this before, but a reader’s list of the 100 most recommended books about cycling is likely to have a more diverse feel. While there is no shortage of books about the Tour de France and professional cycling, some of the most popular books are humorous travelogues by amateurs completing big road trips, such as One Man and His Bike by Mike Carter and Free Country by George Mahood (who starts his cycle ride in just a pair of Union Jack underpants, which I don’t believe is something Chris Froome has ever done). Even cricket literature, which is heavily weighted towards professional and international cricket, throws up comedy gems such as From Balham to Bollywood by Chris England, about a team of amateurs who travel to India to play as extras in a blockbuster movie about cricket, or Penguins Stopped Play by Harry Thompson, about a quest to play a cricket match on every continent (the Seven Summits of cricket, which is a little more obscure than its mountaineering counterpart). Books like these are hard to find in the mountaineering genre. Mountain literature is not devoid of humour. 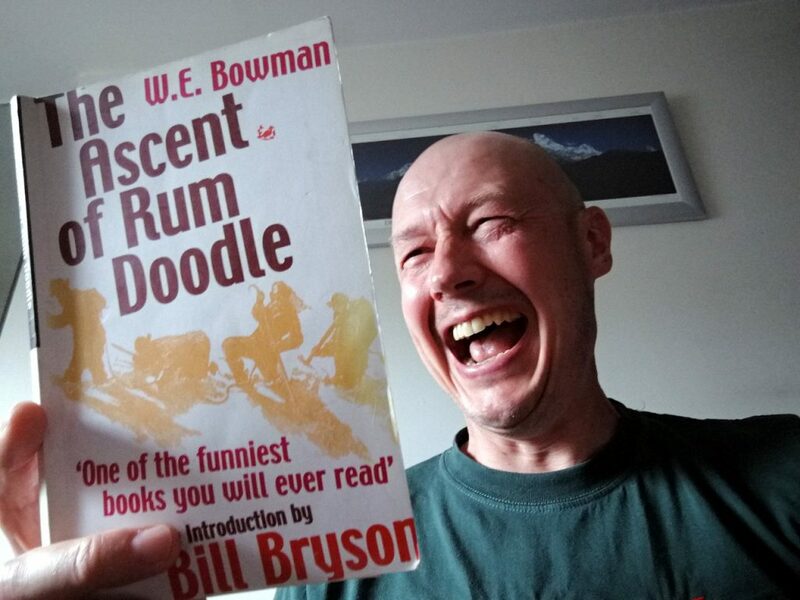 Many people believe The Ascent of Rum Doodle was inspired by the whimsical humour of Bill Tilman. Also on Vertebrate’s list was One Man’s Mountains by Tom Patey, which deserves its place among comedy classics for its second half, which consists entirely of humorous poems. Tom Patey was also an accordion player, which would be ridiculous enough on its own. But generally in mountain writing, comedy takes second place to heroics. Two books that often made me laugh out loud were Mick Fowler’s Vertical Pleasure and Andy Kirkpatrick’s Psychovertical, but both of these books use a kind of laddish, macho humour that would not be to everyone’s taste (for a respectable employee of Her Majesty’s Revenue and Customs, you may be surprised how often Mick Fowler got into trouble with the boys in blue). At heart these books are not comic masterpieces, but ripping yarns about daredevil antics. I was also surprised when I read Kenton Cool’s One Man’s Everest. If you’ve ever been to one of Kenton’s talks, you will know that he takes his jokes seriously – I have even suggested that he may be the Alan Partridge of mountaineering – but although his book covers many of the same stories he uses in his talks, the jokes are strangely absent. So I’m not asking for mountaineering books that have a little bit of humour in them. I’m asking for laugh-out-loud funny books with jokes on every page. There are many of these in the travel writing genre. I’ve mentioned Eric Newby already. The master of comedy for a British audience is the American Bill Bryson. Nobody could ever call him a daring traveller. He pootles about in rented cars, visiting popular tourist attractions that every man and his dog has been to. His books are all about the comedy, a relentless torrent of joke after joke that’s guaranteed to make you annoy the person sitting across the aisle if you read one of his books on the train. He even writes jokes about mountaineering sometimes (well, sort of), such as this from The Road to Little Dribbling. Cycling literature has its own master of comedy in Tim Moore, whose book Frost on my Moustache even uses the punchline from one of the world’s best-loved jokes as its title. I read Tim Moore’s Gironimo, about his ride around the Giro d’Italia on an antique bike, while I was writing Seven Steps from Snowdon to Everest, to reassure myself that my own jokes weren’t too puerile. Then there are the more educated comic masters. William Dalrymple’s In Xanadu is one of the funniest travel books ever written, yet he wrote it when he was only just out of university. When I was that age I still used to laugh at Carry On films. You wouldn’t think it possible to write a hilarious book about the history of Christianity in the Middle East, but he somehow manages it with From the Holy Mountain. And if you think a book about a trip to a rainforest by a naturalist is going to be serious, try reading Redmond O’Hanlon’s Into the Heart of Borneo. Equally surprising is that despite being a naturalist, he keeps his clothes on throughout the book. It’s worth having a pee bottle to hand (and if you need one, a Shewee) before opening any of these books, since there’s a high risk of wetting yourself while reading them. But where are their mountaineering equivalents? I’m sure they must exist somewhere, and I’d really like to find them, so if you know of any then please let me know in the comments to this post. To start the ball rolling, here’s one of my own. The Social Climbers by Chris Darwin is about a group of people who set out to hold the world’s highest dinner party on the summit of Huascaran in Peru. This is something that really annoys proper mountaineers, so it will come as no surprise to learn that it wasn’t written by a world-class climber. The entire team have to learn to climb before donning their tuxedos, and such is the frivolous nature of their quest that they struggle to find a mountain guide who is prepared to accompany them. But they manage it, and the resulting book is a scream. This is the sort of lost gem I’d love to hear about. In the meantime, instead of just moaning about it, I’ve made my own small attempt to remedy the situation. I’ve just completed the second draft of my next book, provisionally titled Chimborazo. Like with Seven Steps from Snowdon to Everest, I’ve worked hard on the jokes, and while I’ve still not quite been able to achieve Brysonesque proportions (who can? ), hopefully there will be a few things in there to make readers chuckle. I expect to publish it early next year. I can highly recommend ‘Tartarin on the Alps’ (Tartarin Sur les Alpes) by Alphonse Daudet, and of course ‘A Tramp Abroad’ by Mark Twain, containing hilarious chapters on the Matterhorn, the Jungfrau and Mont Blanc. Here you go Mark. Than,s for a great blog. Thanks for the recommendations, folks – some quite different suggestions here that I hadn’t been aware of. If Jon Krakauer’s portrait of the Burgess brothers in Eiger Dreams is accurate then I’m not sure it will be to my liking (I find the boisterous macho stuff in a lot of climbing writing somewhat off-putting), but I’ll give it a go! If it’s any consolation I have banned votes for White Spider now unless they can tell me one thing about the book! On the comedy front Bullock’s Tides (listen to Grimer’s podcast) is hilarious as is Kirkpatrick’s Unknown Pleasures. The famous mountaineers (lots of hunkering down in tents reading time) tend to be more diverse than the general climber. Thanks for commenting, Jon. Do I understand you correctly – are you suggesting famous mountaineers are more well read because they spend a lot of time in tents? Interesting theory. All I can say is, Isserman and Weaver must do a lot of camping. Joking aside, great idea of yours to do the poll. I’m sure there will be a few additions for my reading list when you produce the finished results. Mark, have you ever read the companion novel to The Ascent of Rumdoodle: The Cruise of the Talking Fish? It is a spin off of the Kon-Tiki Expedition. Not as entertaining as TAOR, but it should still be read by any amateur adventurer. Thanks Mark for the wonderful suggestions about humorous books. I have been looking for them for quite a while and now I have your whole list to check them out. One funny book I read a couple of years ago is The Sound of a Wild Snail Eating by Elisabeth Tova Bailey (not about climbing but very entertaining to read on the trail). I also found another funny one about a guy trying to climb All the Fourteeners in Colorado but couldn’t find anyone to go with him except for one guy that brought lots of backpacks full of twinkies. I gave it to my son and he lost it. If anybody knows which one I’m talking about please post the name and the author so I can buy it again. Thanks.